To celebrates Mario day which is on March 10 Google has added Mario navigation in Google Maps. Google has partnered with Nintendo to bring Mario to Google Maps. Starting today, the feature will be available on Google Maps for Android and iOS devices and Mario will accompany you on all your drives this week. 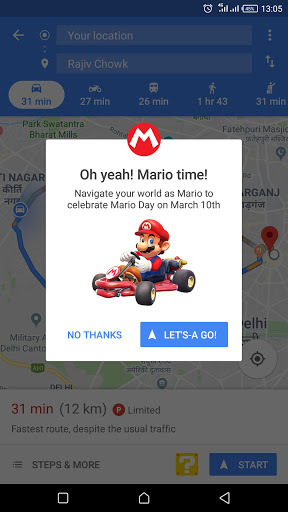 “To celebrate our favorite mustachioed plumber-turned-racer on his special day—MAR10 Day—we’ve collaborated with the team at Nintendo to let Mario accompany you on all of your driving adventures on Google Maps this week,” writes Google in its latest blog post. To get started with the Mario Maps, you need to update the Google Maps app for your Android and IoS. After that, to enter Mario Time tap on the yellow “?” icon that is available in the bottom right of the Google Maps app post the latest update. Once you tap on the yellow ‘?’ icon, you’ll see a prompt to enable Mario Time. 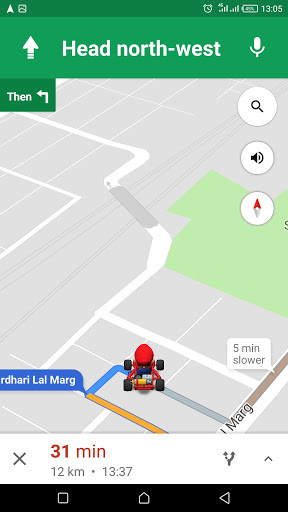 Once it is enabled, you will see the Mario driving a Mario Kart vehicle on the Google Maps navigation arrow. It will go like this whenever you use the maps for navigation. Mario time for iOS and Android is currently rolling out to everyone globally and will be available for the next seven days. 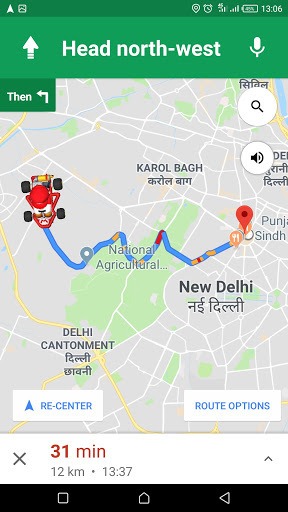 Google says that Mario will join you on your road trips for a week and the icon will be visible in Google Maps on every route you take while using the app. “He’ll be a constant companion wherever you’re driving this week—to work, to school, or the spaghetti house. Just remember to practice safe driving on the road—we don’t encourage throwing bananas or red shells at other drivers in real life,” Google adds further.